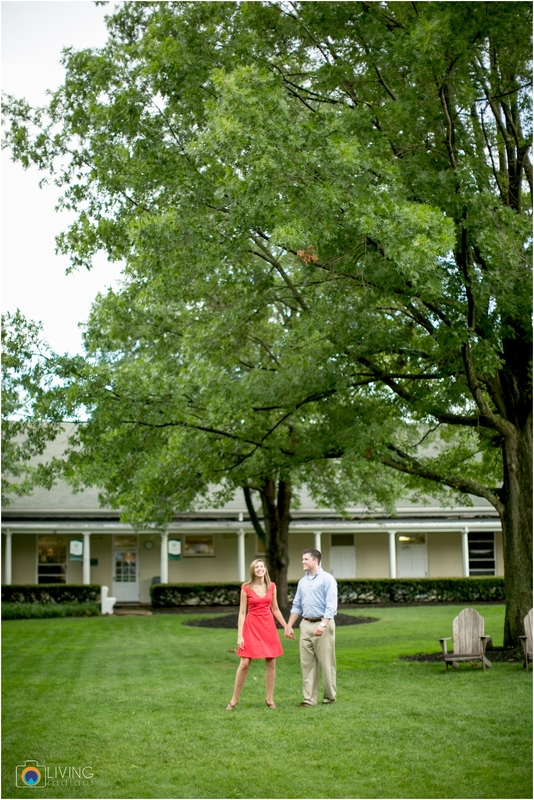 Rain can't keep us from doing an engagement shoot... and you would never believe that this was 5 minutes after torrential downpours! Heather and Tyler were determined to have this day be their e-session, so we brought umbrellas and flipflops, and said "let's do this!" 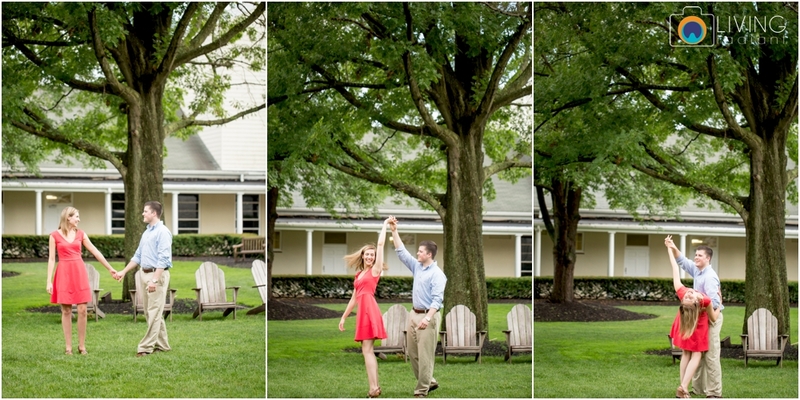 We originally wanted to photograph Heather and Tyler downtown at the Inner Harbor, but then opted for a location with beautiful over hangs and a portico. So, I knew I could count on my Alma Mater, Bryn Mawr... a beautiful private girls school in Roland Park (well I did get in trouble by security because I didn't call ahead... opps... but they were gracious as I was an alum). 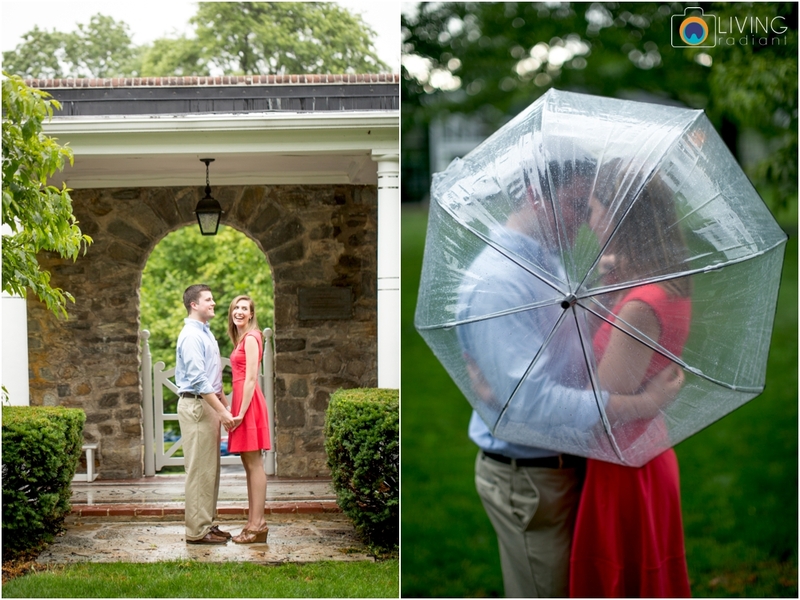 But anyway... you will love this session... with a little rain, some water, and a beautiful couple! One of our favorite moments of our time with them was when Tyler grabbed Heather and started dancing with her barefoot! We just loved how cute the two of them were together. Oh and the swings... that was too cute! 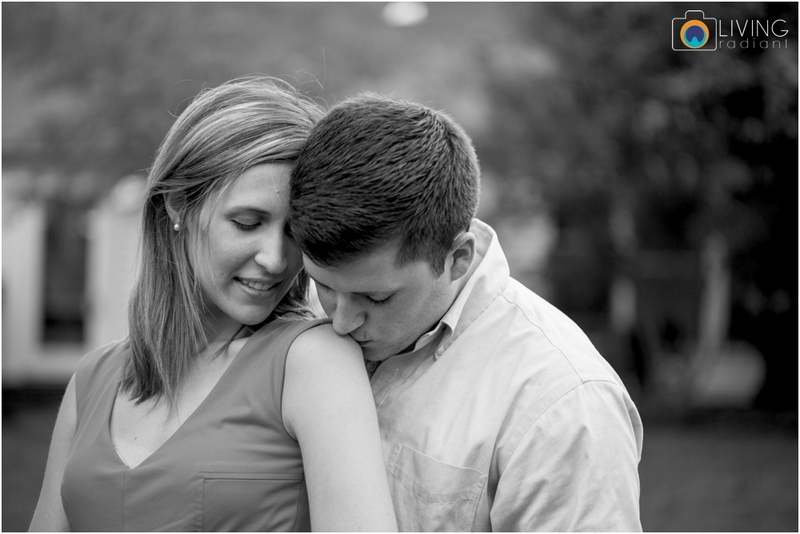 When we asked Heather and Tyler about their love story, we just smiled the entire time. 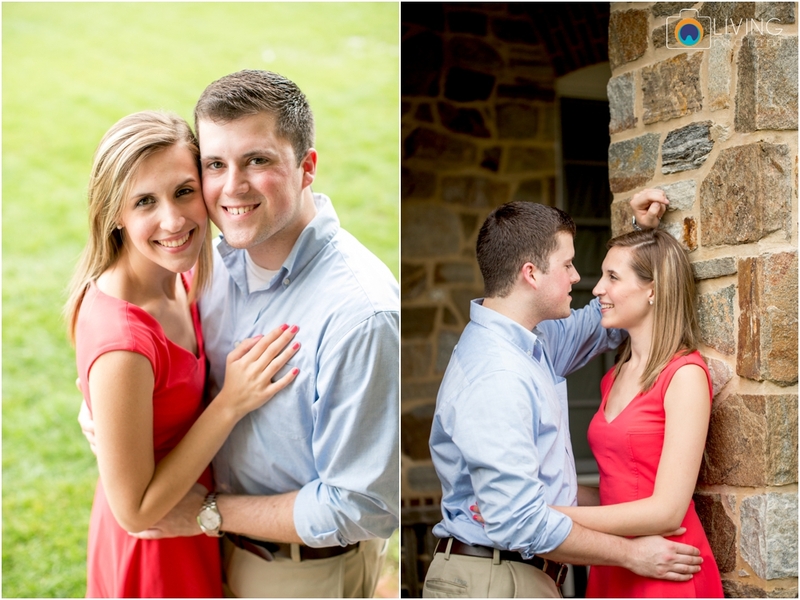 Heather and Tyler are college sweethearts and met at York College in PA. They met in a class, only to later realize that they were neighbors too! Tyler proposed on Christmas Eve only an hour after he asked Heather's dad for permission... he knew he wanted her and wasn't losing any time. Tyler had a full plan to get everything set up before she got home from work that evening but unfortunately as he walked into the door of our apartment he heard, "Hey, Baby! I got off work early!" His plan was ruined because she came home early. As she was in the kitchen making brownies for the next day, Tyler was getting everything set up in the living room with candles and soft music (He even got dressed up in a suit and tie!). When she walked out of the kitchen after Tyler had called to her, that's when he expressed to her how much he loved her. She then heard "And, I asked your dad! "), hen he got down on one knee and asked Heather to marry him. She cried and instantly said YES! 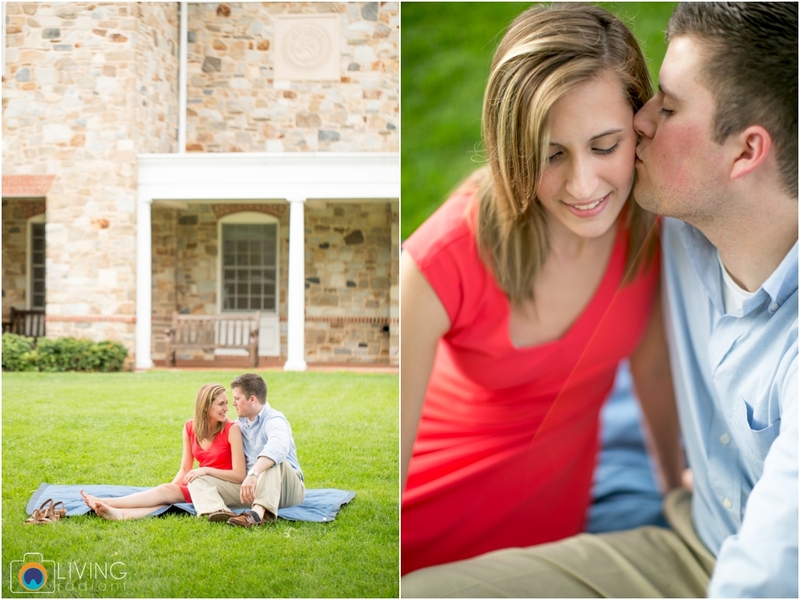 Here's their e-session and I think you will love it!